My son Gilad is truly a chip off the old block. In some ways that is a good thing, but when he decides to be difficult it can be a real nightmare for his parents. Take, for example, Wednesday morning last week. Gilad was happily playing with his cars down in the family room when I walked in and told him that it was time to go to school. He was not having any of that… he was very content to continue playing with his cars and did not want to go anywhere. When I insisted he threw a temper tantrum – screaming and crying and just not being at all cooperative. It should be known that we have a pretty reasonable schedule in the mornings… Theresa and I coordinate to make sure both of our children get to school. Aaron leaves early for the school bus, and one of us will drive Gilad to pre-school. Depending on what each of us has scheduled for the day we determine who makes the drive out to Hamilton with the young’un. On this particular Wednesday Theresa had meetings, and I was driving to Montreal… I had no real timeline that I had to follow, so I was driving Gilad. Because I was making the trip to Montreal I knew I couldn’t forget anything. I had my suitcase, my messenger bag with my Surface Pro, and another bag that I needed to bring. Three bags. That was very important, because I could not forget any of these and still get anything accomplished in Montreal. It took much longer than usual to Get Gilad coordinated this morning, owing to the temper tantrum from Hell. He is usually a very happy and cooperative toddler, but when he makes his mind up to be otherwise he is much more than a handful. Theresa and I worked as a team to get him out the door – right shoe on, right shoe tied, left shoe on, left shoe… wait, why is the right shoe on the floor now? Repeat the exercise… several times. All the while the boy was shrieking to the point where an outside observer would have suspected we were abusing the poor child and called Children and Family Services. It should be known that the situation was quite the opposite, and had the outside observer seen the whole picture he or she might have offered to buy drinks for the very patient parents. We finally had two shoes properly secured to his feet – we were only minutes away from breaking out the duct tape to keep them in place. We then moved on to the jacket, which was another battle completely, and one that really requires a bit more cooperation than simple shoes. Of course, since he now had shoes on he was even more able to run away from this unconstitutional forced enclothing. Fortunately I was able to head him off at the stairs and his mother, in a move that would have impressed NFL scouts, avoided a block thrown by a doggie-linebacker and sacked the boy… scooped him up in her arms, and withy a practiced skill got down to the task at hand. ‘Get the stuff out to the car and come back to get him so that we won’t have to go through this again!’ Good idea… I grab my suitcase, the bag, and the boy’s lunchbox, which he was obviously not going to carry himself. Three bags. Once they were in the trunk I ran back, got the boy, and somehow I was able to get him into the car without having a neighbour call the police on me. It took two stops – one at McDonald’s, one at Tim Hortons, before Gilad Hyde transformed back into Dr. Gilad Jeckyll, and believe me, late as we might have been getting him to school, it was a relief. It truly was an amazing transformation… walking into school with a big smile on his face you would never suspect that just ten minutes earlier he had broken his father’s 37 year old record for longest and loudest tantrum by a four year old. This was just one of the things I was thinking of as I made my way eastbound on the 401 toward Montreal. You should know at this point that I am considered by most to be a very good driver. Unfortunately I have, like many, developed the very bad habit of glancing at my smartphone when it beeps, especially when I am on a very straight and dry road. I might even respond with a one- or two word text if appropriate and (reasonably) safe. However when I got the text asking me to send someone a detailed e-mail a couple of hours into my drive I was not going to risk an accident (or a hefty fine) and do it behind the wheel. I pulled off at the Big Apple exit and pulled into Tim Hortons. I opened the trunk and there it was… as clear at the sky, once Gilad’s lunchbox had gone into the school I was left with only two bags… neither one of which was my Surface Pro messenger bag. Let’s face it, the pending e-mail was not a problem… I can just as easily type it on my smartphone as on my tablet. Unfortunately my trip to Montreal was not entirely a pleasure trip, and I would need a computer for some of my work… not to mention that I had a meeting to work remotely with a colleague in Japan for several hours Wednesday and Thursday evenings. That could not be done on a smartphone. Oh, and did I mention that I am the hyper-connected geek who has never gone five days without his computer? Of course I could have turned around… I was about two hours from home, and turning around was not really a viable option – it would have added four hours to a 5.5 hour drive, not to mention the grief I would have gotten from my father for making him wait up for me. Interestingly enough I had also forgotten my wristwatch, which I always wear. I don’t want to have to pull out my phone to know what time it is… I want my wristwatch, and would again, to a lesser degree, be lost without it. Mitch was, for all intents and purposes, disconnected… what would he do? How would he survive? Over the next few days I will talk about what I did and how I managed… and what obstacles I faced, beginning with the fact that my smartphone charger was in my messenger bag too! Wish I could help…maybe I can? 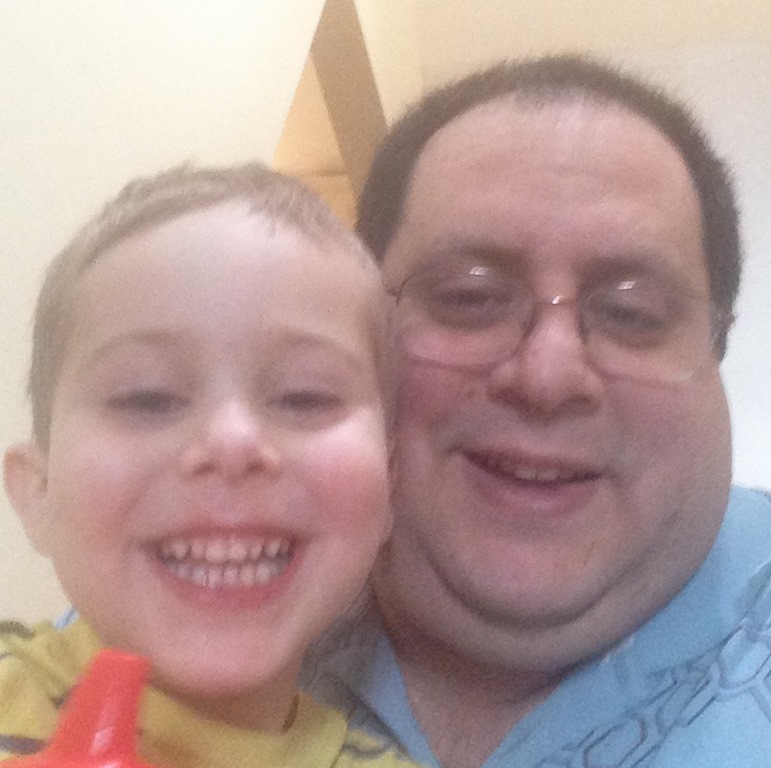 Thanks Rami… I m already back in Oakville and have been reunited with my Surface Pro and my kids! !